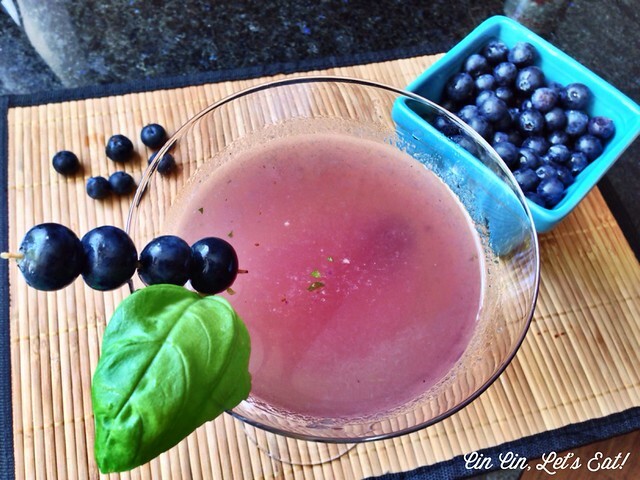 Blueberry Basil Limoncello Cocktail [recipe] – Cin Cin, Let's Eat! I don’t make cocktails at home very often, usually it’s just red wine or a few sips of post-dinner whiskey. But lately all the gorgeous produce really inspire me to do more with seasonal products. 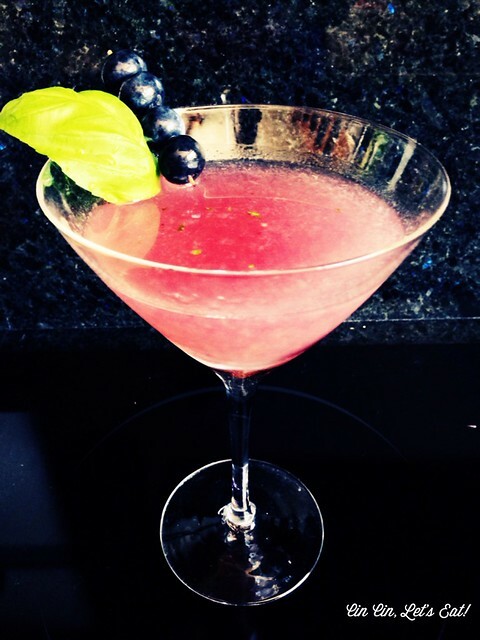 Beautiful herbs are taking over my garden and I have been mixing up several cocktails that are infused with fresh fruit and herbs. I did purchase a blueberry bush, but it’s quite young and didn’t produce great fruits this year. Supposedly it’ll start producing great fruits after the 3rd year…we shall see! This particular cocktail tastes kind of like a fruity 7-up, but it’s quite lethal, so make sure you sip, not chug. 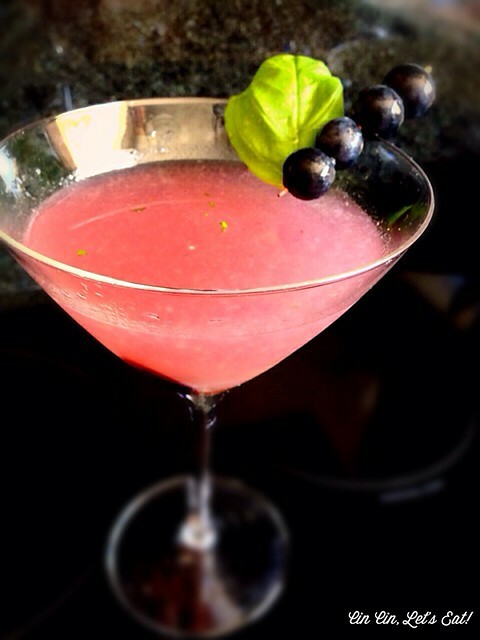 In a cocktail shaker, add in basil leaves, blueberries, and Cointreau. 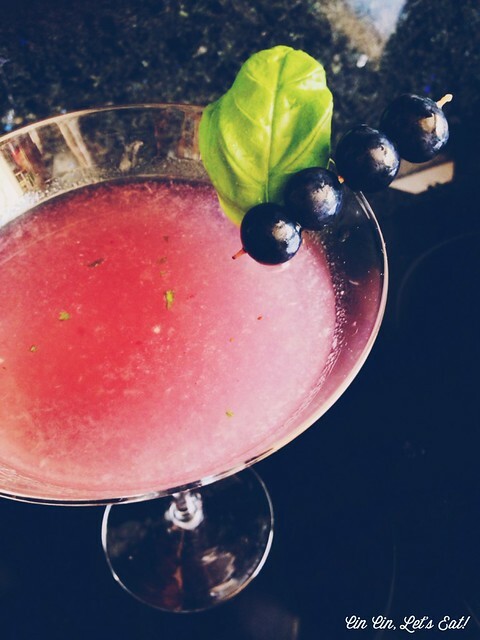 Use a muddler to break down the basil and blueberries. Add in a few ice cubes, vodka, and limoncello. Close lid and shake well. Strain and pour cocktail into a martini glass. Top it off with tonic water. Garnish with a few blueberries a basil leaves. Alternatively, you can pour everything out into a highball glass without straining, top it off with tonic water. PS: I apologize for going a bit vintage filters crazy. I just love the colors so much and I describe indulging in these beautifully-colored cocktails as “drinking my jewel tones”. Looks great and I think I have all the ingredients. Is 9 a.m.-ish too soon to just check?